Adesso has added another wireless keyboard to their range, with the launch of the Adesso WKB-3100 Wireless Mini Keyboard. 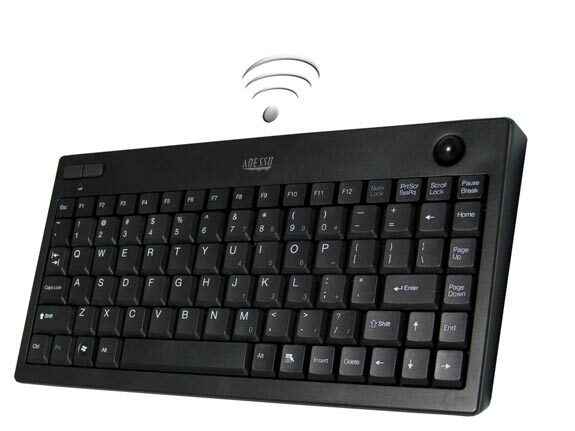 The Adesso WKB-3100 Wireless Mini Keyboard features an integrated optical trackball, and is designed to be used in a wide variety of PC setups like home theater PCs. It measure less than 12 inches long, and provides a limitless connectivity angle with a wide range, and a wireless range of up to 30 feet.